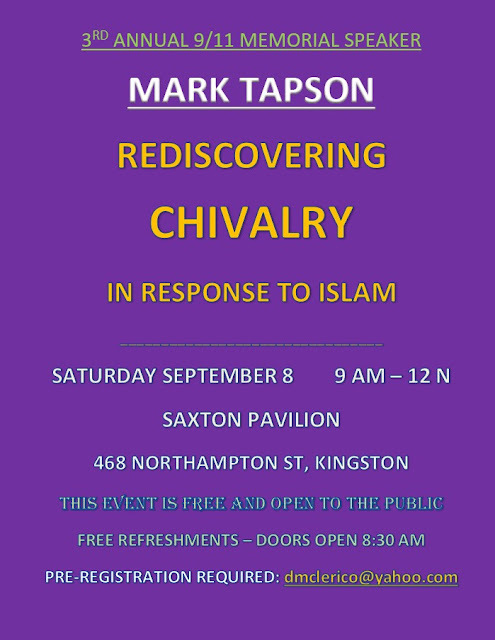 I'll be speaking on chivalry, masculinity, and Islam this Saturday near Wilkes-Barre PA. It's free to the public although you have to pre-register for it. Check it out if you're in the area. “America stands anxiously on the cusp of an unknown future,” writes Matthew Hennessey in a new book titled Zero Hour for Gen X: How the Last Adult Generation Can Save America From Millennials. “We are about to get swamped by a millennial wave that has already started crashing hard into the worlds of business, politics, entertainment, religion, dating, medicine, and education.” Considering that millennials are the generation that seems eager to embrace socialism, limits on freedom of speech, and Amazon’s “Big Brother” Alexa in every home, this generational passing of the torch will have dramatic and adverse implications for the future of America as we know it. 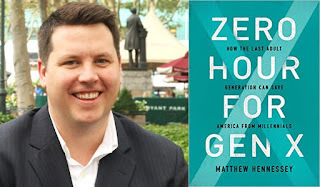 Matthew Hennessey’s thesis is that Generation X – which emerged between the baby boomers and millennials – must get its act together swiftly if there is to be any hope of a collective national redemption from baby boomer destruction and to avert the Brave New World into which millennials will usher us. The author defines the parameters of the three relevant generations for the purposes of his book: “Baby boomers are those born roughly between 1946 and 1964. Generation Xers are those born roughly between 1965 and 1980. The millennials are those born roughly between 1981 and 1997… [They] are already the largest American generation, and they’re still growing due to immigration.” They are tech-obsessed, coddled by political correctness, and indifferent to the advance of corporate and government intrusion into every aspect of our increasingly digital lives. Hennessey is the Associate Editor of Editorial Features at The Wall Street Journal and former Associate Editor at City Journal and Managing Editor at the Manhattan Institute. I connected with him to ask a few questions about the book, which I’ve read and strongly recommend. Mark Tapson: In what ways has the baby boom generation “nearly destroyed America,” as you put it? You mention that baby boomers and millennials are “cut from the same cloth,” so what fresh hell, as Dorothy Parker would say, are we facing with the ascendancy of the millennial generation?